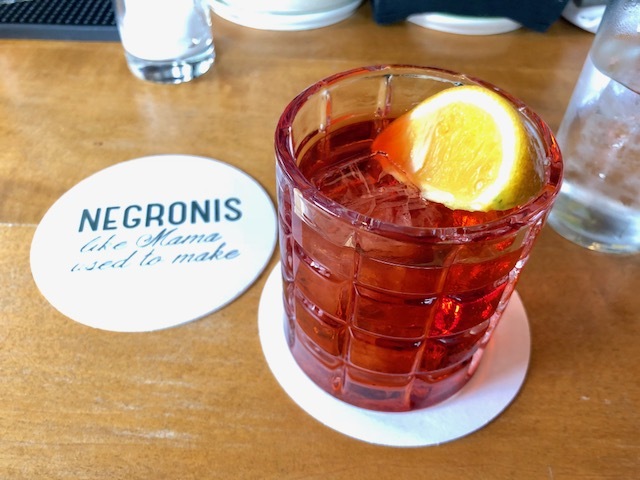 Today is the official kickoff to Negroni Week; a party launched in 2013 to celebrate the fabulous pink drink while raising money for charities all over the globe. Simply find a participating venue, purchase a Negroni and that bar will make an immediate donation to a charity they have chosen such as Autism Speaks, No Kid Hungry or Mercy Corp.
We plan to check out apertivo spot Vini e Fritti who's featuring a reserve barrel aged Negroni and special house white Negroni to support City Harvest and Red Hook favorite Fort Defiance who's serving up a special Caffe Negroni made with cold brew coffee for Lambda Legal. There are literally thousands of bars and restaurants participating all over the world, so check out the Negroni Week Website to see a list of participants and their menu for the week. There's never been a better time to be a Negroni lover than right now.